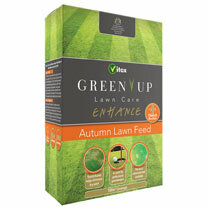 Rich in Potash to encourage root growth, laying the foundation for a healthy lawn the following year. Treats 100msq. NPK 5-2-15. Used by professional sports turf industry. Use October to March. Organic content stimulates soil microbial activity.